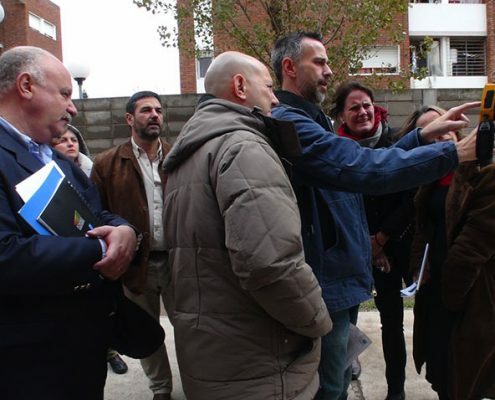 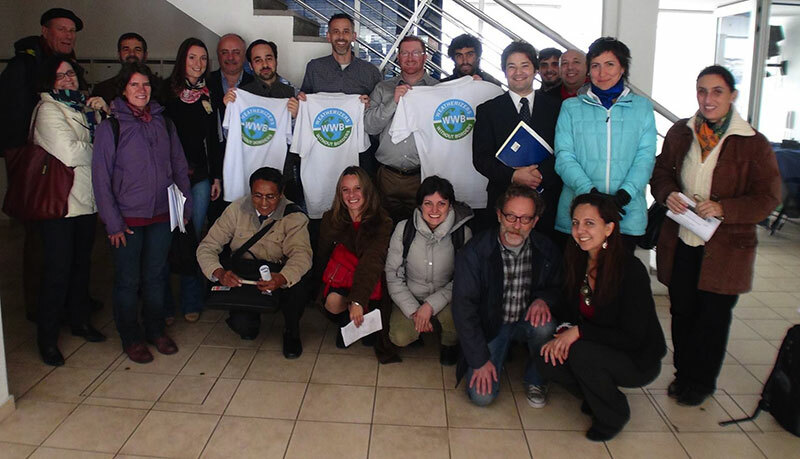 Inter-American Weatherization Exchange Program – Montevideo, Uruguay – 2014 – Weatherizers Without Borders | It’s time to think big… and weatherize globally! 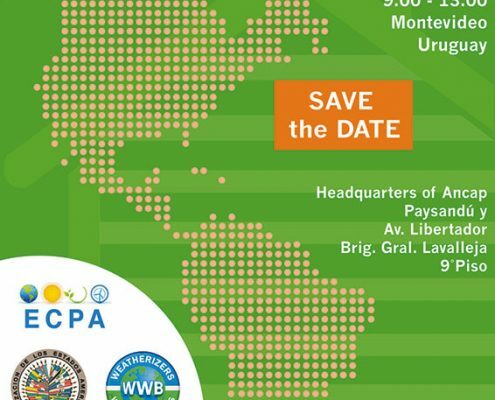 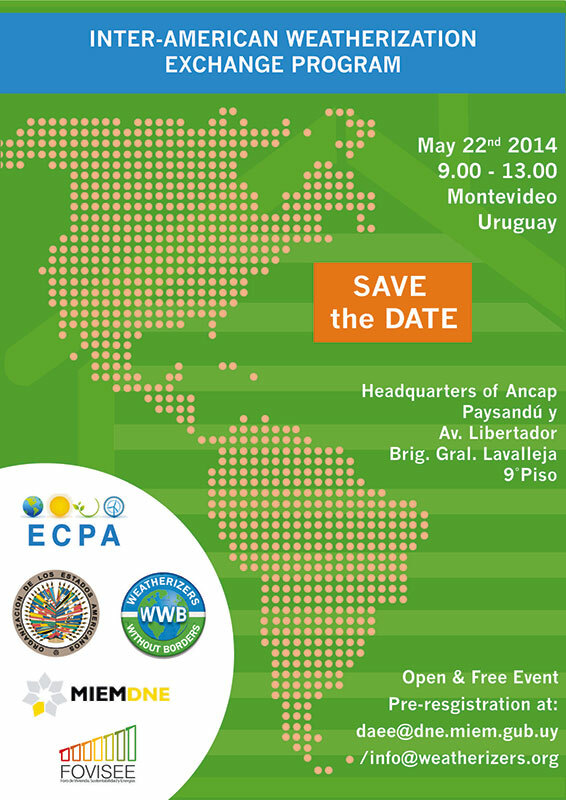 On the 22nd and 23rd of May 2014, WWB organized the first Inter-American Weatherization exchange around the Weatherization Assistance Program experience in the US. 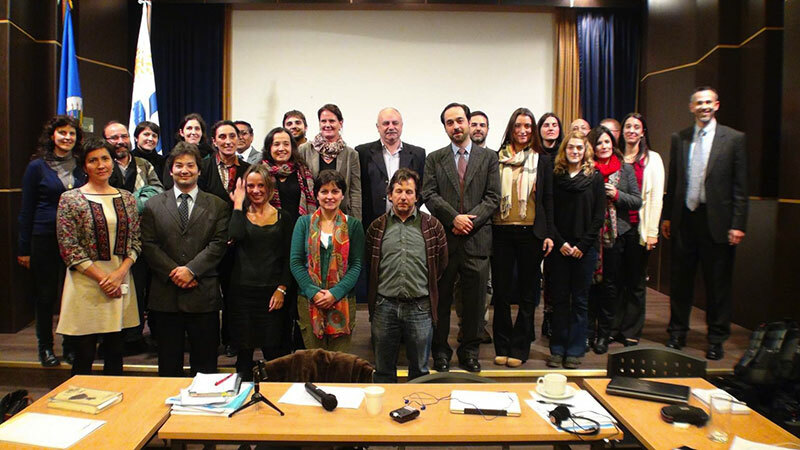 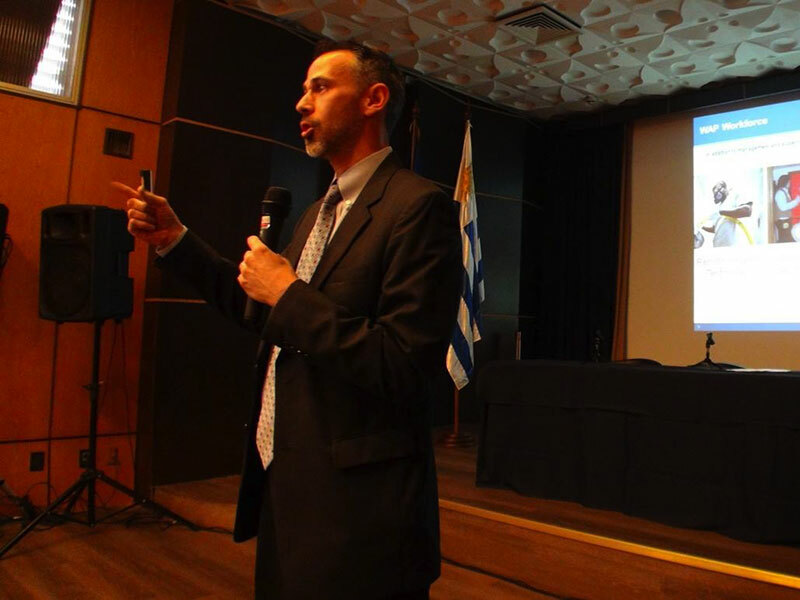 The speakers and participants were experts and officials from the US, Argentina, Uruguay, Chile and Perú. 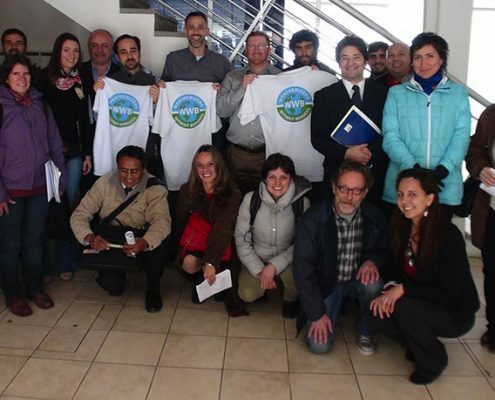 The experts and officials shared experiences from each of their countries, presented energy efficiency initiatives and ideas. 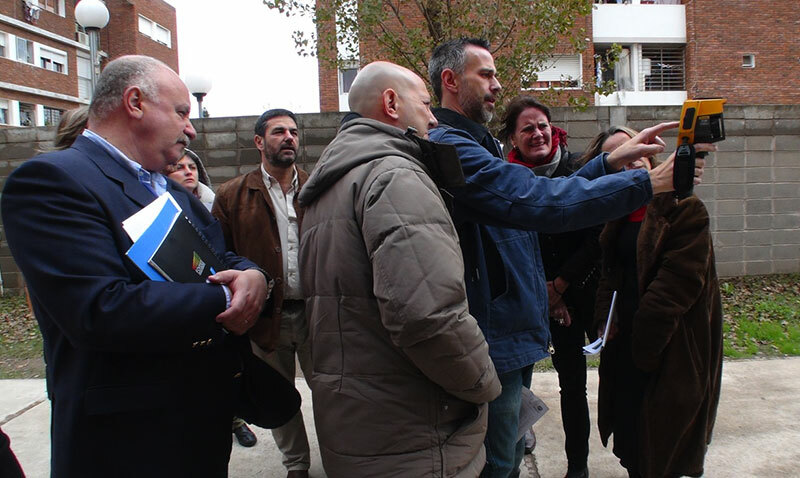 The two-days-event ended with a field visit including a public demonstration of residential energy diagnosis in the style of the WAP audits. 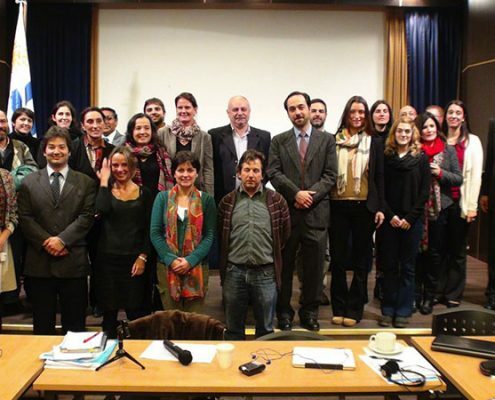 The activity allowed to identify the barriers and opportunities to develop residential energy efficiency programs in the region and share the lessons learnt. 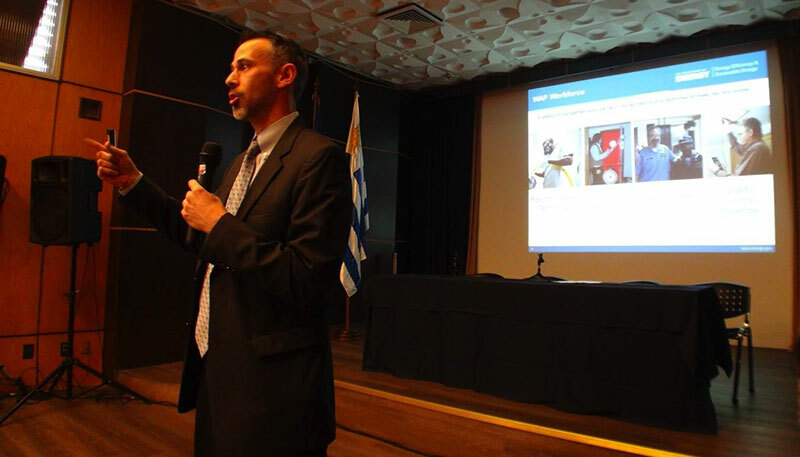 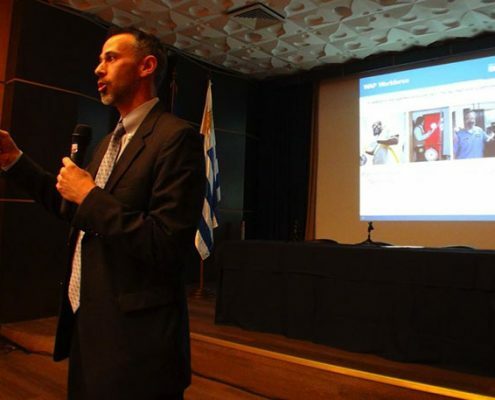 The context of the activity was the general national energy policies of the Uruguayan Government through the Dirección Nacional de Energía (DNE).